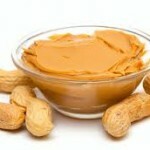 A new study by Pennsylvania State University revealed that peanut consumption as part of a high fat meal improves the post meal triglyceride response and preserved endothelial function. Vascular dysfunction plays a major role in the development of atherosclerosis and the formation of coronary plaques and lesions that lead to coronary artery disease. Typically after a high fat meal, vascular function is reduced, albeit temporarily, until the fat that is in the blood (from the meal) is cleared. Strategies that can blunt this response to both dietary fat and its effect on vascular dysfunction may decrease the risk of coronary disease. The study examined the metabolic response to fifteen overweight males who were randomly selected to consume a peanut meal containing 3 oz. of ground peanuts (as a shake) or a control meal (a shake without peanuts) that were matched for energy and macro-nutrients.The lipid profile, glucose and insulin were measured five times after each meal. Flow-mediated dilatation (FMD) was measured to assess vascular function. This non-invasive method required a cuff at the forearm to restrain blood flow, which was then released to assess dilation of the brachial artery. The control meal decreased FMD by 1.2 percent compared to baseline. 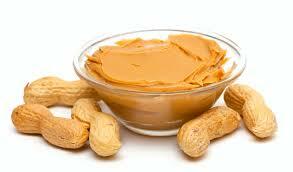 In contrast, there was no decrease in FMD after the peanut meal. The result findings revealed that peanuts have a protective effect and maintains normal vascular function whereas the high fat-matched control meal impaired vascular function acutely.